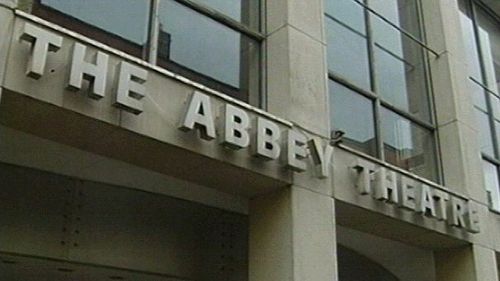 The Abbey Theatre is to close its auditorium for nine weeks after asbestos was discovered in the building. The national theatre says there is no danger to staff or the public, but it has decided to remove the asbestos in the interests of long-term safety. The theatre will be closed from 17 July to 15 September. Performances of the The Plough and the Stars will be moved to the nearby O'Reilly Theatre at Belvedere College. The asbestos was discovered during an inspection of the building in January. Weekly air quality tests have been carried out by specialists since - and the Abbey says there is no risk whatsoever for staff or patrons. The Health and Safety Authority has been involved at all times in forming a plan of action. The Abbey says that because theatre can involve a lot of technical work - and because staff may have to work in the areas involved - it has decided to remove the asbestos. Funding for these works was provided by the Department of Arts, Heritage & the Gaeltacht. The Box Office and other parts of the theatre are open for business as usual throughout this period. The Abbey auditorium will re-open in mid-September.